Form « Global Market Insights, Inc.
Europe is also forecast to stand tall in the regional hierarchy with an estimated annual growth rate of 8% over 2017-2024. The regional growth can be credited to the food packaging applications, which is predominantly focusing on recyclable and biodegradable solutions. 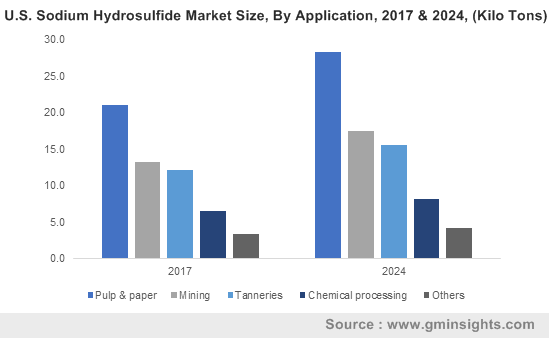 Citing a relevant instance, RefuCoat, the EU-funded project, recently created quite a buzz in the regional polymer market landscape. Reportedly, the project aims at deploying high-performance coatings to develop completely recyclable food packaging endorsed with improved functionalities and gas barrier properties. 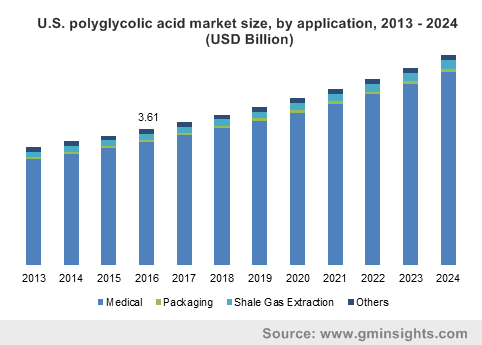 The move will provide a significant push to the Europe polyglycolic acid market trends, on grounds of the aforementioned hybrid coating comprising PGA and modified silica oxide as the key materials. This entry was posted in Bulk & Specialty Chemicals and tagged Fiber, Film, Form, Medical, Packaging, PGA Market, Polyglycolic Acid Market, Polyglycolic Acid Market Analysis, Polyglycolic Acid Market Report, Polyglycolic Acid Market Segmentation, Polyglycolic Acid Market Share, Polyglycolic Acid Market Size, Shale Gas Extraction.